Westwood Village Theatre (formerly known as the Fox Theatre) is located at 961 Broxton Ave, Los Angeles, CA 90024. 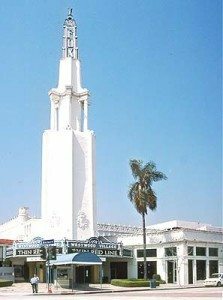 Beautifully preserved, the historic Westwood Village Theatre is where we will be holding High Holy Days services, in addition to holding them at Kehillat Israel. We look forward to celebrating High Holy Days together. Tickets are ordered online and you may print at your convenience or request to have them held at the will-call booth. Ticketing information is now available. KI members will be granted access to the online ticketing system once membership is renewed. We will email you a personalized link upon renewal. 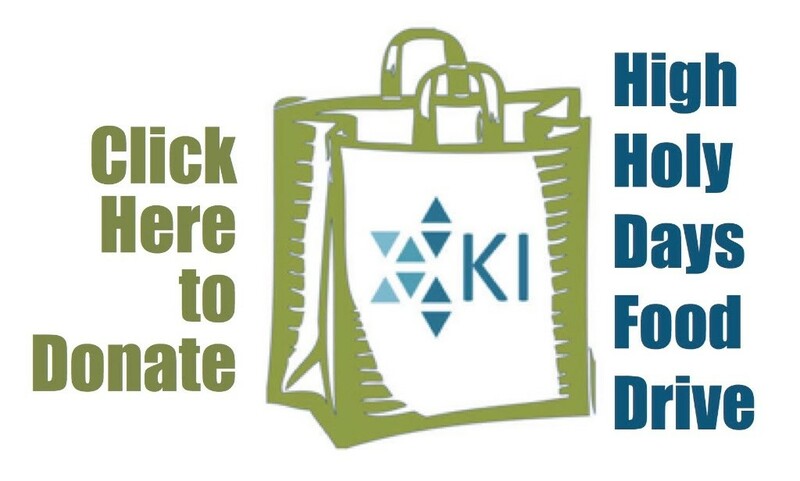 If you are not a member of KI, we welcome you to join us for the High Holy Days and to experience the warmth of KI. Ticket information for non-congregants can be found here. KI offers children’s programming for children 18 months - 6th grade. Whether you are attending services at KI or Westwood Village Theatre, ALL children’s programming will be held at KI. Please complete the Children’s Programming Registration Form, including parent contact information, which can be found here. Please click here to be directed to specific parking instructions for High Holy Days at Westwood Village Theatre and Kehillat Israel. Every year, KI is committed to bringing a special guest speaker on Yom Kippur who is working to better our society. 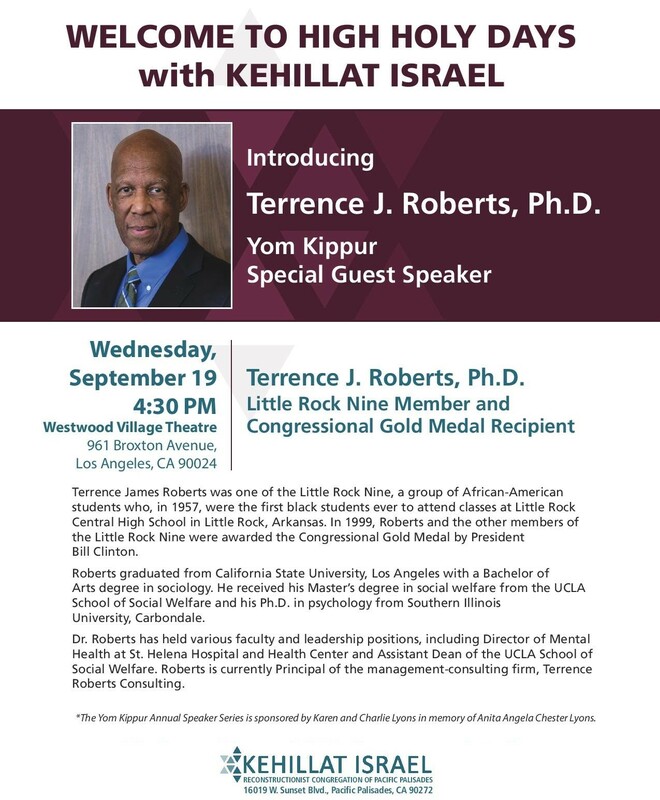 This year, we are very happy to welcome Terrence J. Roberts, Ph.D., one of the Little Rock Nine and recipient of the Congressional Gold Medal. Please click to here to learn more. Click here for the 2018 High Holy Day schedule. Click here for 2018 High Holy Day Options For Families With Children. Click here for 2018 High Holy Days sermons. All Jewish holidays begin at sundown on the evening before the date shown unless it says "Erev."